A woman with a “sad and worrying history” who had seen three children taken from her care has won a fight to keep a fourth after convincing a family court judge that things have changed. Judge Peter Greene said it was always hoped that parents with problems would try to put things right - and he said the woman had made “positive changes” which should be recognised. Council social workers wanted the fourth child - a girl approaching her first birthday - to be placed for adoption after raising safety concerns. But Judge Greene - who analysed the case at a private family court hearing in Peterborough - disagreed. The judge decided that the woman - who had been represented by barrister Jason Hadden - could care for her baby daughter with support from social services staff. 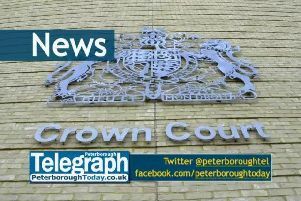 He said the woman, who is in her 30s, could not be identified but said the local authority with responsibility for the little girl was Cambridgeshire County Council. Judge Greene has explained, in a written ruling on the case, how the woman had suffered mental health problems and had a history of relationships with “violent men” who “abused drink and drugs”. Two of her older children had been adopted and a third was living with a relative, he said. The judge said the woman had a “very sad and worrying history”. But he listed shifts in her approach - saying she had engaged with ante-natal services and with mental health services, and mended her relationship with her mother and stepfather. And he said she had a “determination to change”. “She has to be given full credit for that,” said Judge Greene. He said he understood social workers’ concerns but added: “It may not be plain sailing. There are bound to be doubts and misgivings.